We’re pleased to announce our attendance at Automechanika Frankfurt 2018 in the next few weeks! A number of the Lodge Parts team will be present for the 25th anniversary of the show, which runs from 11th to 15th September. We’re very much looking forward to meeting with existing customers and making new contacts. As regular attendees of the show we anticipate positive discussion around the challenges and opportunities the automotive parts sector has in 2018/19. If you’re going to Automechanika Frankfurt and wish to meet with us please get in touch. We’re pleased to announce our role as UK distributor for Rotinger. Rotinger is a specialist performance brake disc brand respected across Europe. The brand combine high-end manufacturing processes with excellent visual design to make brake discs at the leading edge of the market. Rotinger hold the ECE R90 regulation certificate for UK and European markets, and Certificate TÜV issued by Certification Institute TÜV Rheinland. Read a full introduction to Rotinger brake discs or get in touch for further information. We look forward to working alongside Rotinger through 2018 and beyond as a key part of our Fast Road range of performance parts. We’re pleased to announce that Lodge Initiatives has been shortlisted for the Export & International Trade Award by West Cheshire and North Wales Chamber of Commerce. This award recognises the strength of exporters in West Cheshire & North Wales. Companies being considered for this award stand out from the crowd on the international stage and demonstrate that they have generated significant and sustained increases in their export activity. We’re pleased the hard work our team puts in was recognised by the Chamber and we look forward to the forthcoming awards ceremony. We have new premises, and a new brand! Our new brand reflects our continued role in bringing increased value to genuine and original equipment parts. 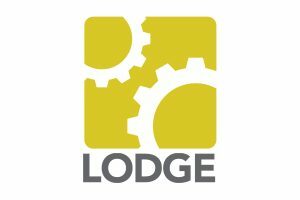 The Lodge Initiatives brand incorporates three specialisms: Automotive, Commercial Parts and Power Products. These three divisions allow us to further our ambitions across three key markets within the UK and Europe. We look forward to engaging our new branding with customers throughout the new year.